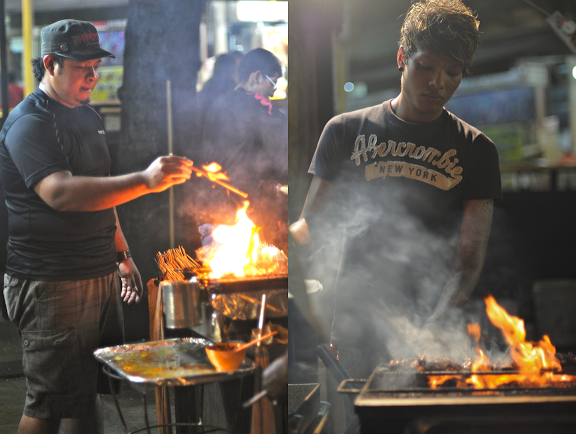 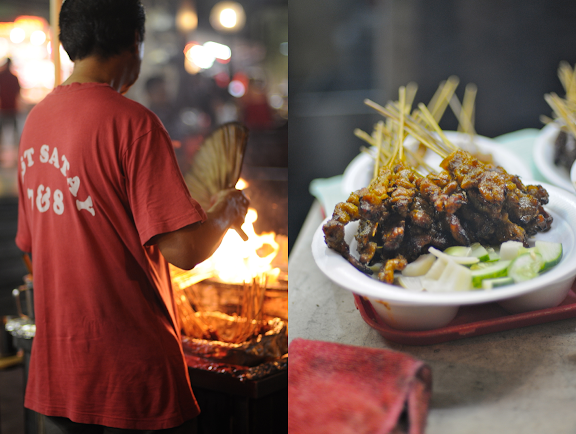 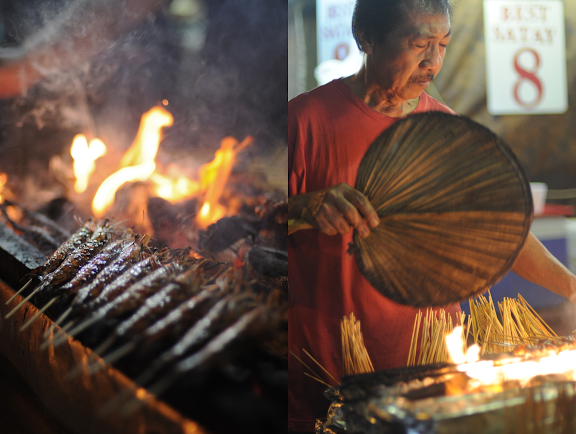 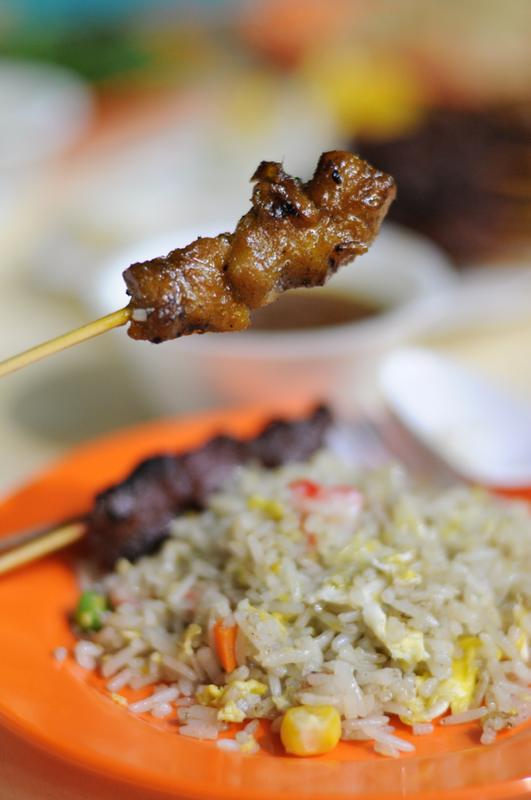 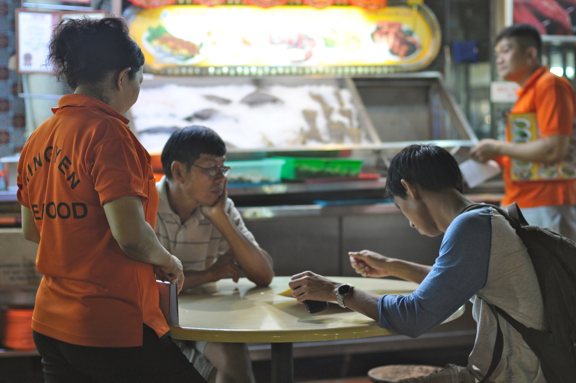 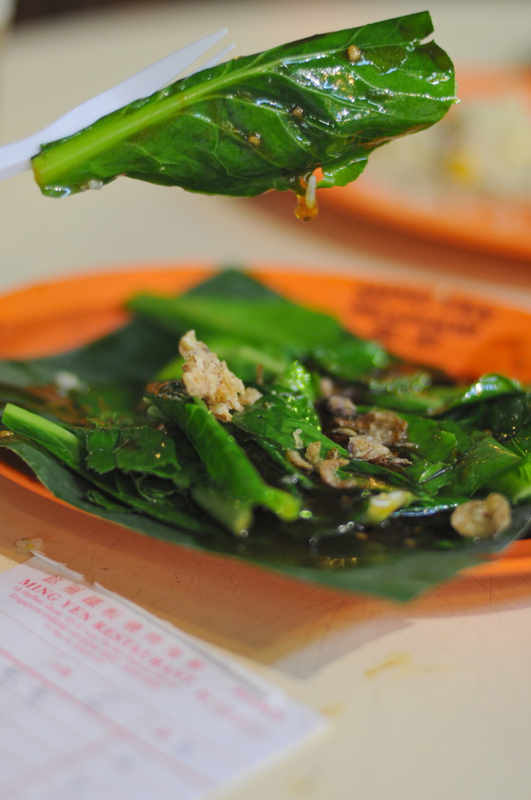 One of the noted places for street food and outdoor dining in Singapore is Lau Pa Sat festival market. 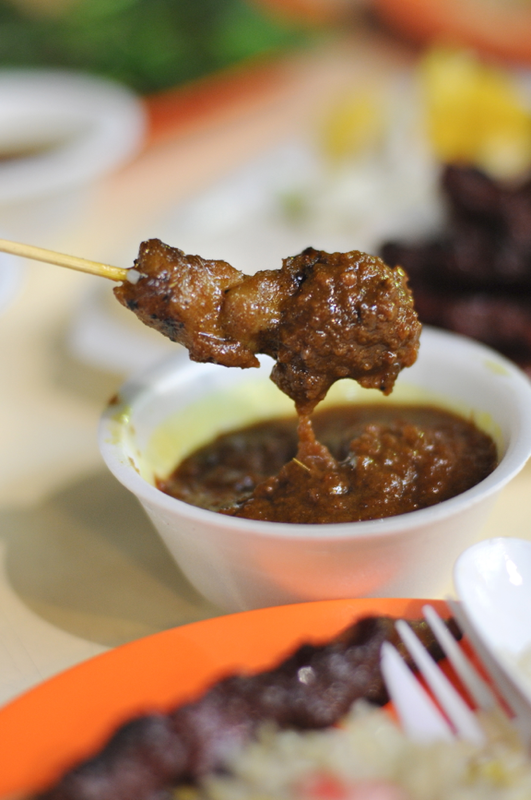 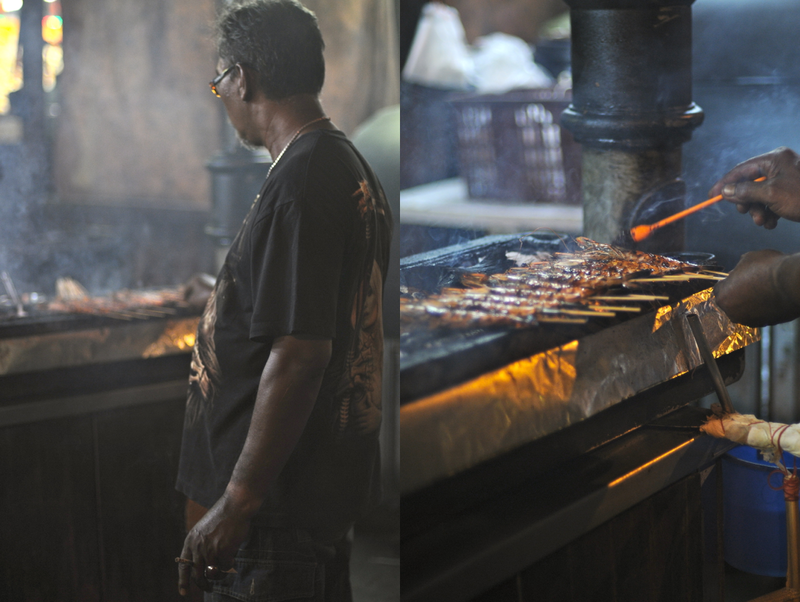 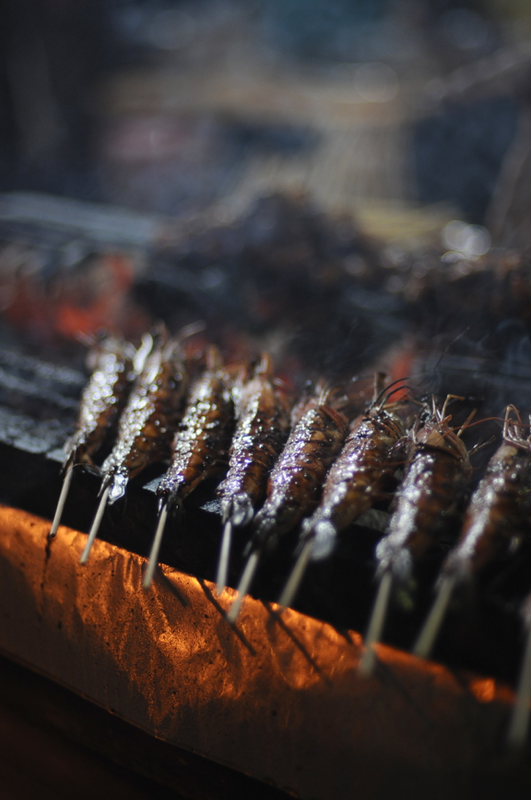 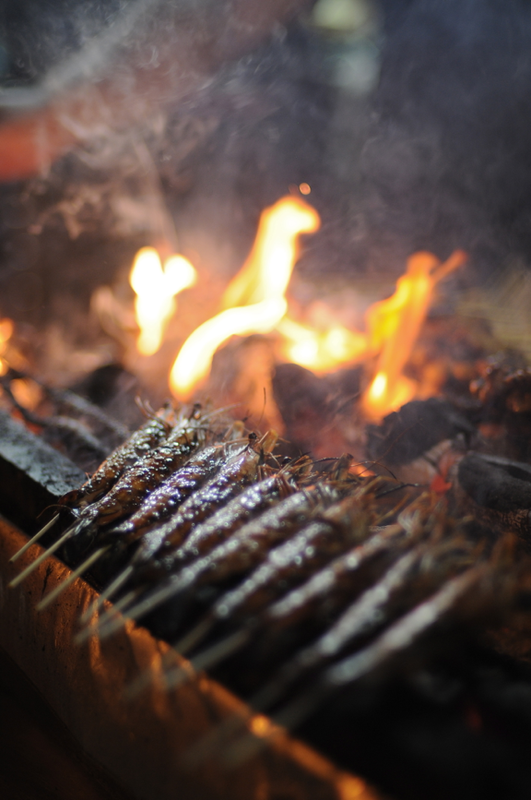 My brother ordered the best to sample - the fire grilled satay, beef and chicken skewers, served with a spicy peanut sauce. 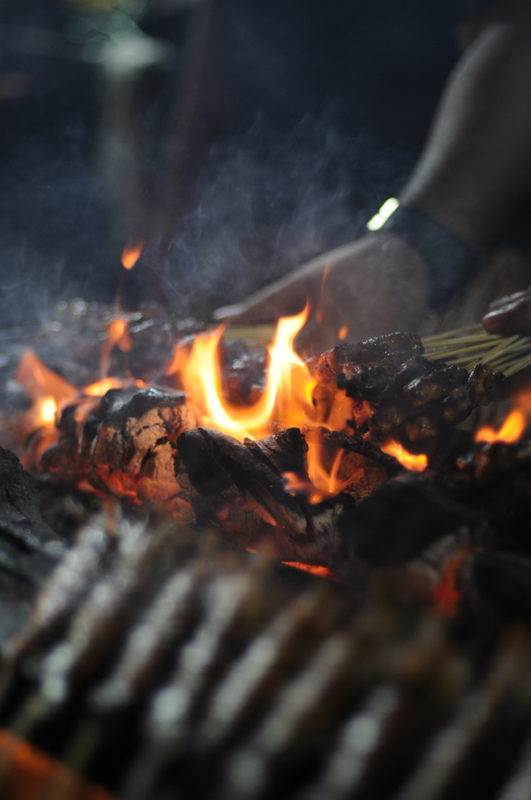 Can you tell I was a bit mesmerized by the fire? 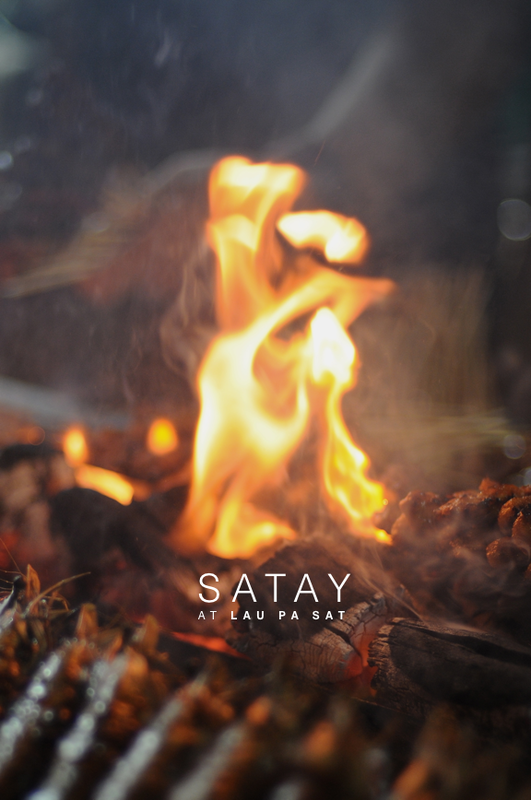 You can see more info on Lau Pa Sat here.